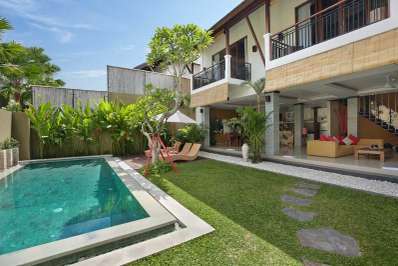 Windu Asri is located in Petitenget on the edge of Seminyak. 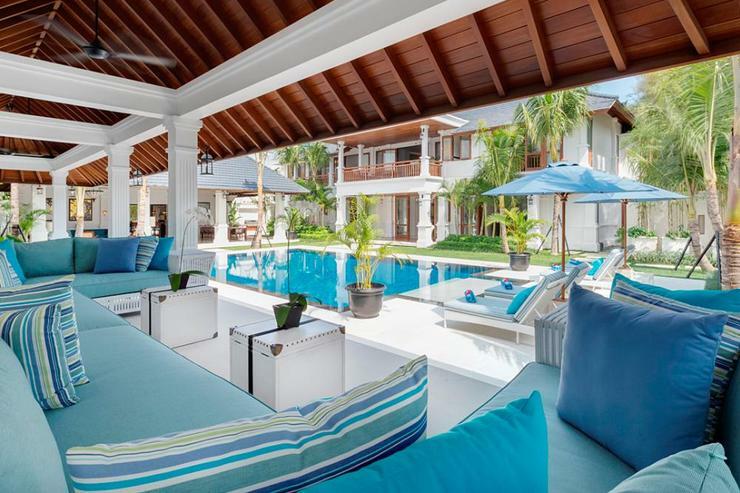 It is convenient to Legian beach and the growing number of designer boutiques, sumptuous spas, chic lounges and vibrant nightspots of Seminyak. 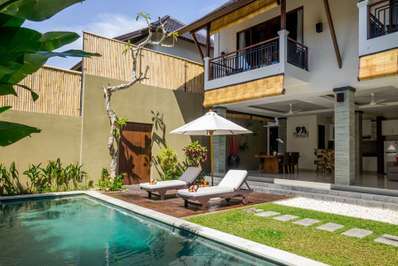 The villa location also provides easy access to the mountains and rice terraces on the western slopes as also to the cultural and artistic town of Ubud. The Sunset Route, gateway to the eastern side of the island, is just five minutes' from the property. 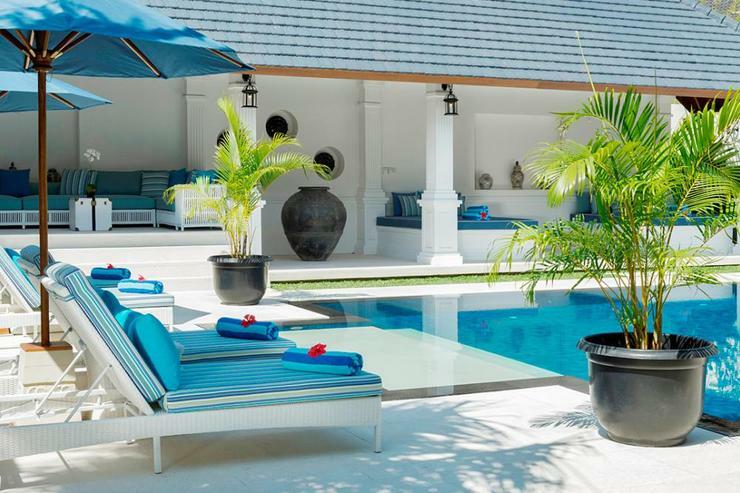 * 10 double bedroom suites are available when the 6 bedroom Villa Windu Asri and 4 bedroom Villa Windu Sari are linked via a discretely positioned gateway. 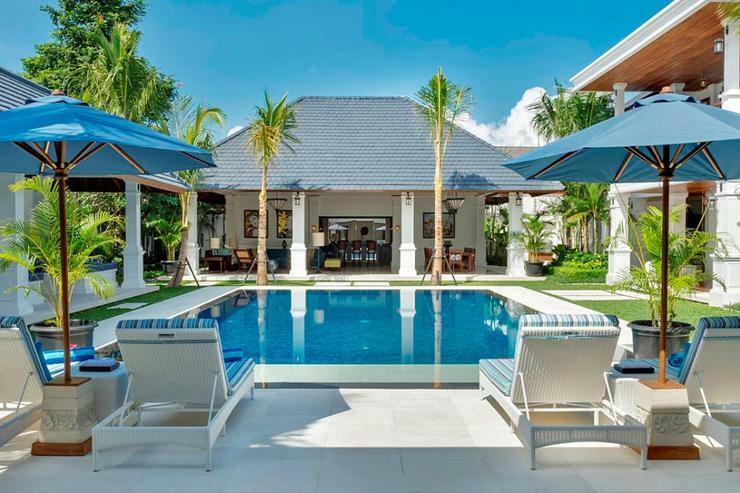 Villa Windu Asri is a new "Raffles Style," exclusive-use, private villa that offers impeccable five-star services, state-of-the-art facilities and luxurious accommodation in beautiful suites. 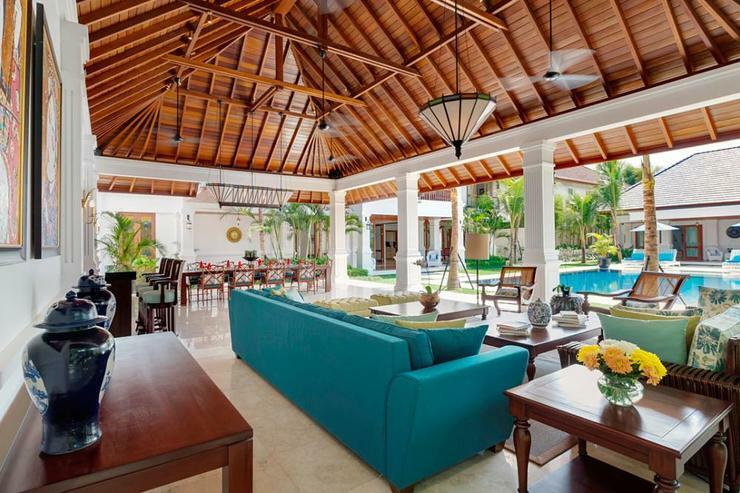 All rooms are spacious and designed and furnished for relaxing and entertaining on a grand scale. 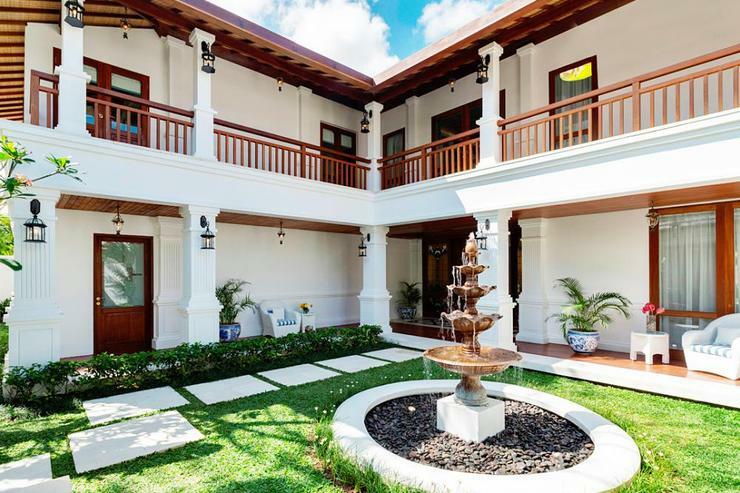 The villa combines the grandeur artistry of the colonial with high quality artwork and understated décor and is ideal for those who seek, and are used to nothing but the best. 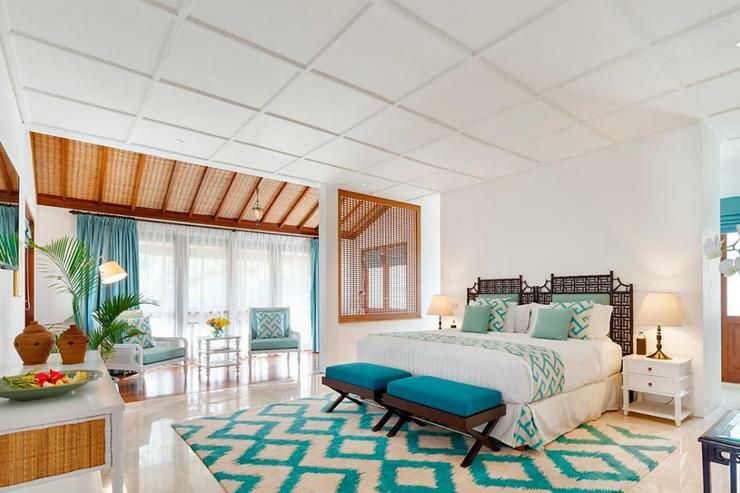 All the six bedroom suites of villa Windu Asri are similar in size and design, providing guests access to the same high standard of comfort. 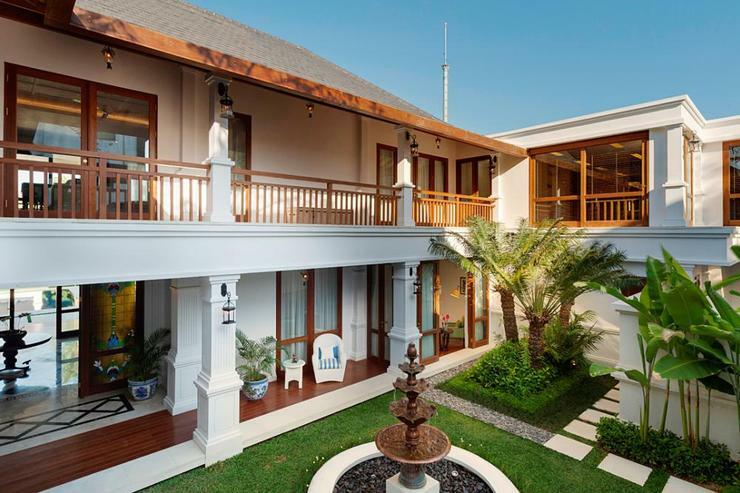 Most of the bedroom suites are situated in the main houses while two are set in the single-storey, poolside guesthouse. 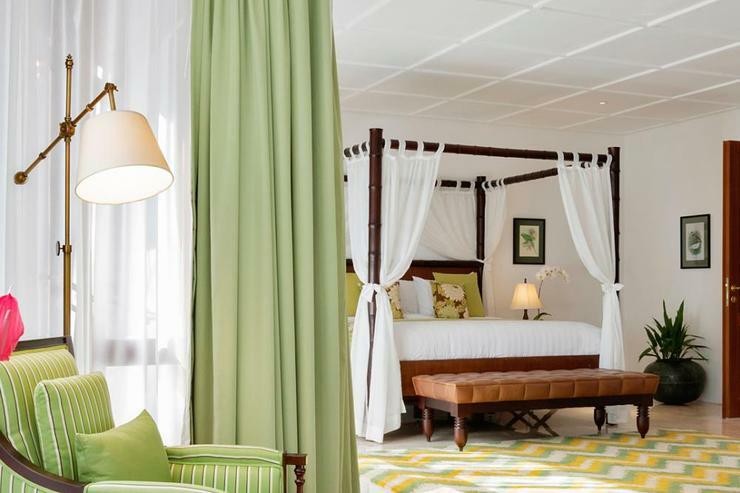 All bedrooms have en-suite traditional open air bathrooms, in addition to air-conditioned vanity and dressing rooms. All toilets are in separate rooms to the vanities and hand basins. 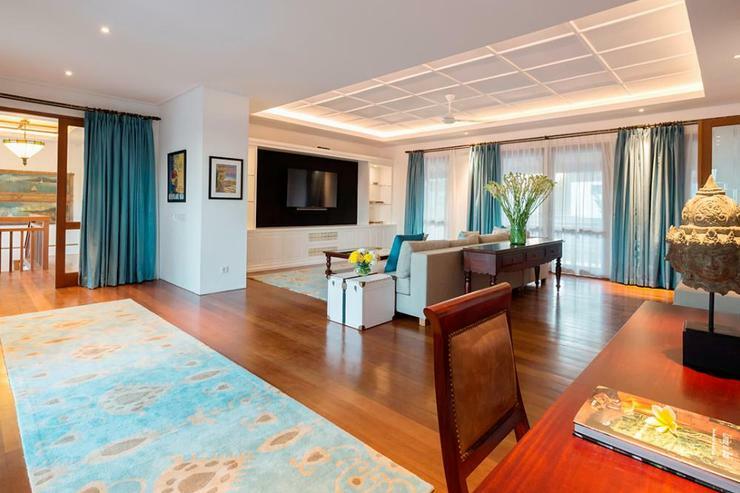 Each room has access to a balcony or terrace and is equipped with a 40-inch flatscreen LED TV complete with international channels, DVD player and a room safe. 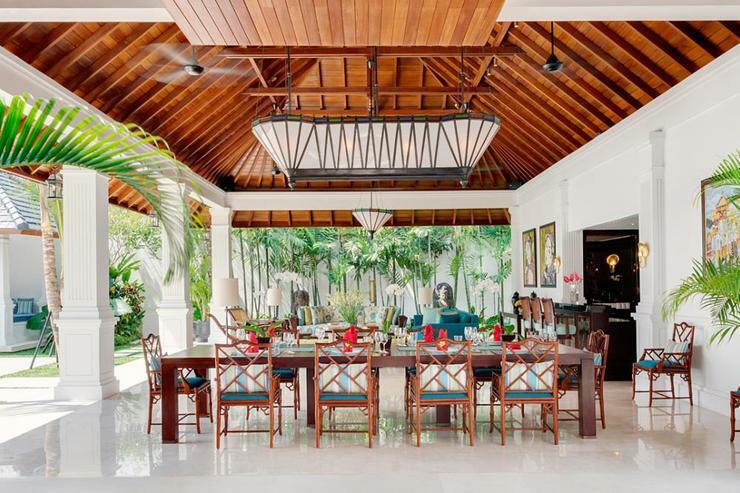 The open-sided lounge and dining pavilion form the social hub of villa Windu Asri. The sitting area is fan-cooled and is fitted with sofas, ottomans, lazy planter chairs and coffee tables. 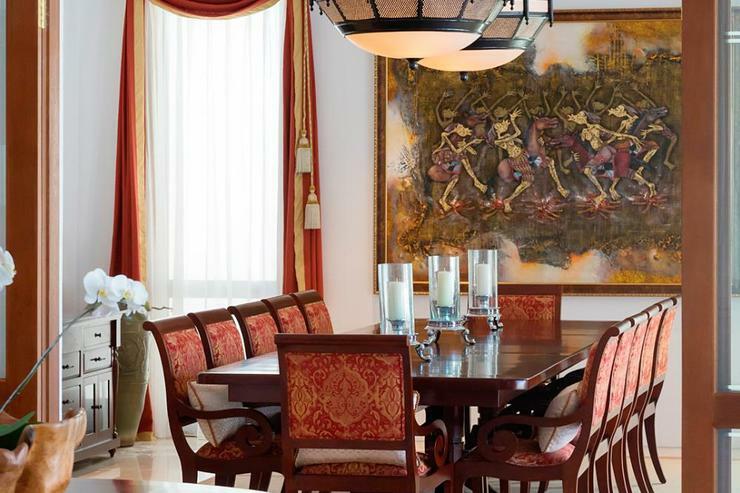 The adjacent dining area hosts a table for 12 but has seating capacity that can be extended to accommodate 16 guests. 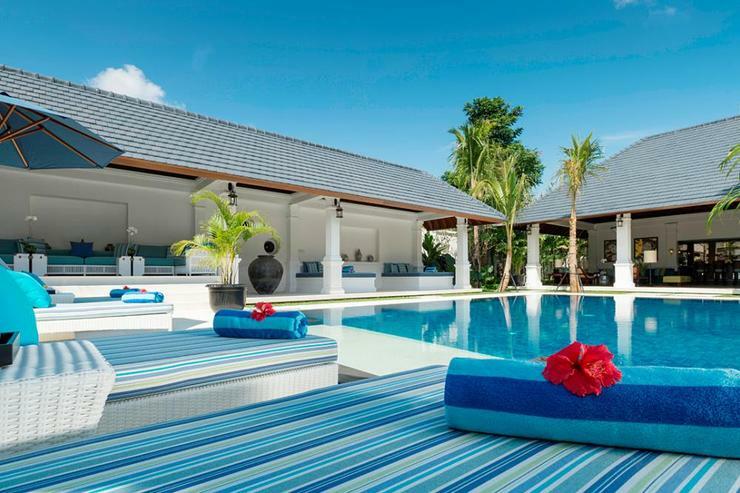 The villa also has an air-conditioned media room furnished with a comfortable sofa and satellite TV with 60-inch high definition screen and enhanced sound. 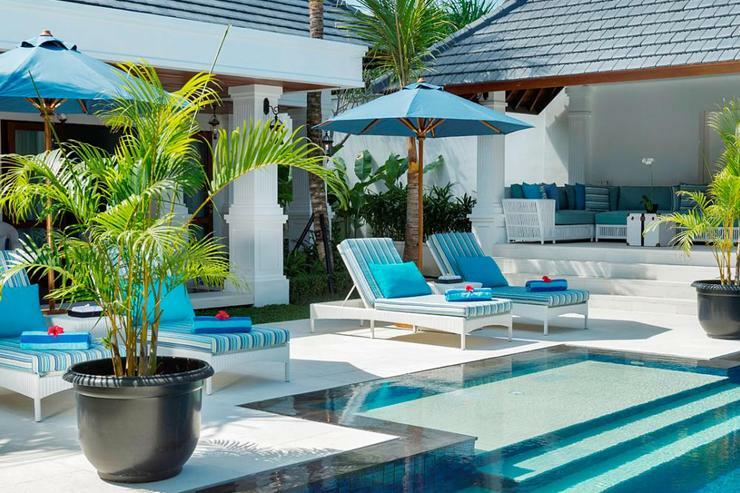 Outdoors, guests will find more space to relax in the tropical garden and the pool, which illuminated with deep blue shades.